SMS Valet® by TEZ is the world’s first paperless valet system. 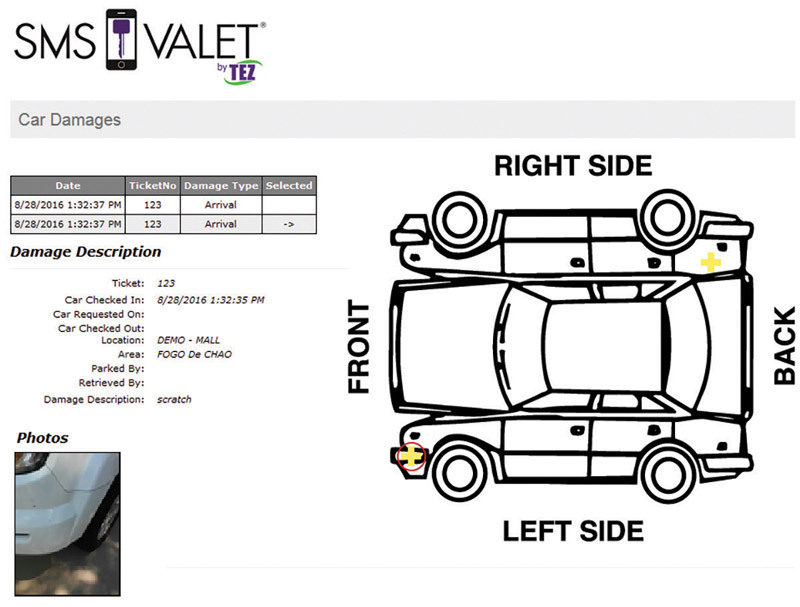 With this patent­-pending technology, you can streamline operations and expedite the valet process. Our mobile valet system relies on Text Messages for vehicle registration so no paper tickets are needed. Unlike other mobile apps, SMS Valet® lets guests request their vehicles by simply replying to the Welcome text message they receive at check-­in. That’s it! Clients located within the US are eligible to receive all necessary equipment to go ticketless. This kit includes 4G enabled devices with FREE data included, hang/key tags, grease pencils for labeling vehicle locations, and all the required power supplies. SMS Valet® has no modules to buy or fixed monthly plans. You pay for only cars parked at your location. There are no complicated plans or expensive installations with our technology. Going ticketless not only increases customer satisfaction, it also gives valet operators methods for increasing revenue. you can increase revenues in many ways on top of increasing customer satisfaction. As a valet, you are the first (and last) person to greet the guest. This means your impression will have an impact on their entire experience. Imagine the power of being able to advertise at a shopping mall that a customer is about to enter. 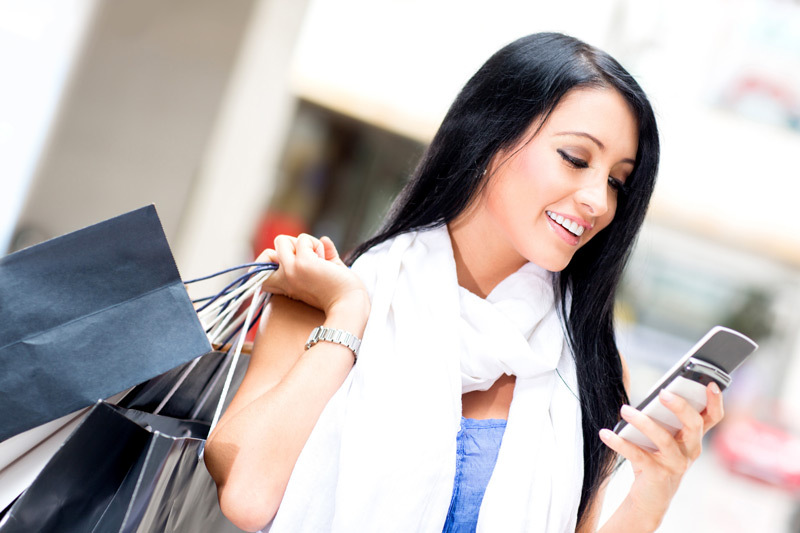 With SMS Valet, you have the ability to sell advertising opportunities to retail shops, restaurants, and other stores. Best of all, you are not limited to a text. You can embed video links in the message so a guest can view upcoming events, scan a shopping mall interactive map, and much more. The possibilities to generate revenue are endless for valet operators using our technology. Imagine the opportunities available at special events. With SMS Valet, wedding guests can receive links to photos as they depart. What about valet services at a museum or other occasion? You can can distribute links to upcoming events so customers return again and again. As a SMS Valet user, your ability to generate revenue is as infinite as your creativity. Let’s use hospitals as an example of a client that would appreciate guest surveys. Hospitals are keen on evaluating patient satisfaction. As a valet, you can provide them with valuable feedback. SMS Valet allows you to send out links to surveys and assist the hospital in capturing instant feedback on things like cleanliness, personnel, or if they were greeted properly when entering. No other product allows you to gain fast and direct insights like SMS Valet. You can leverage this technology to help attract new clients or increase revenue at an existing location. SMS Valet® is the first valet technology software to eliminate ticket skimming. (Yes…we all know it happens. So STOP it now!) Every car that registers at a valet location is recorded in the app. Once the customer checks in, they receive the Welcome Text (or receive a printed TEZ ticket generated by the app) instead of being handed a paper ticket. This eliminates the possibility of ticket re-use to capture revenue lost to skimming. With SMS Valet, closing a shift could not be more simple. Instead of manually compiling data, managers can receive digital Shift Reports showing cash on hand, tips, validations, voids, etc. It’s all there and makes closing a shift fast. Shift Reports are available online so managers can view the data from anywhere. SMS Valet® lets you know how many cars are parked at each location at any time of the day. It can even track which employees parked and retrieved the vehicle. The platform includes damage reporting and online statistics to help you better manage operations. Reports can be accessed online anytime, from anywhere. There is even a mobile website that reveals real­-time sales data at all sites. Pre-existing car damages can be shown on a guest’s digital ticket or you may choose to hide these damages. Damages are “attached” to XPRESS stickers so frequent guests and condo/office tenants will automatically have damages loaded at every check-in.